We've raised our sights again ^ with 3 new tugs to give you better service. 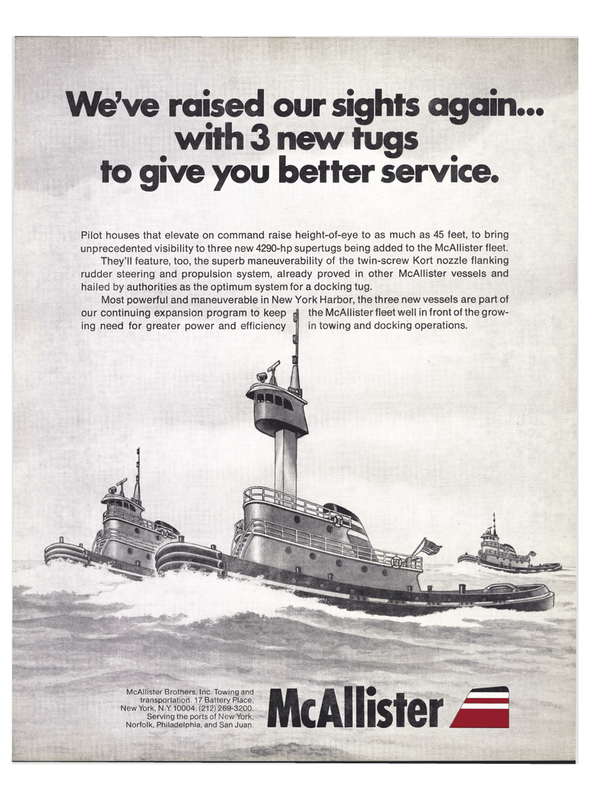 Pilot houses that elevate on command raise height-of-eye to as much as 45 feet, to bring unprecedented visibility to three new 4290-hp supertugs being added to the McAllister fleet. They'll feature, too, the superb maneuverability of the twin-screw Kort nozzle flanking rudder steering and propulsion system, already proved in other McAllister vessels and hailed by authorities as the optimum system for a docking tug.